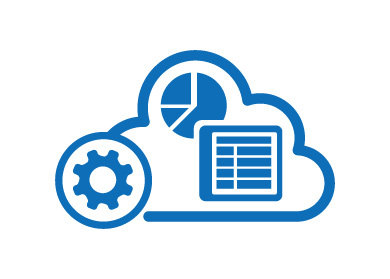 Advantech offers Microsoft Azure Cloud Services, helping businesses connect their industrial solutions to the cloud through both custom service packages and pre-configured solution packages. 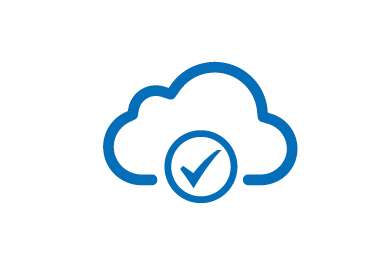 Custom cloud infrastructure services are offered at three monthly rates, allowing customers to choose the package that best fits their needs, ensuring they only pay for what they use. 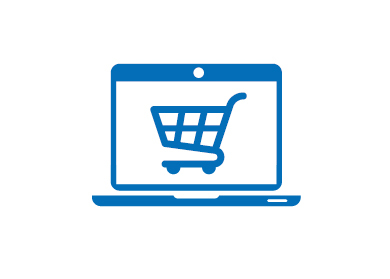 Alternatively, Advantech offers pre-configured solution packages ready for immediate deployment. 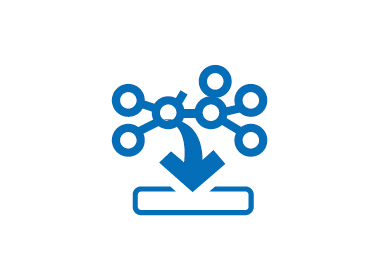 The IoT Central connects, monitors, and manages your IoT assets at scale, and IoT cloud solution accelerators, connect and monitor your devices remotely. 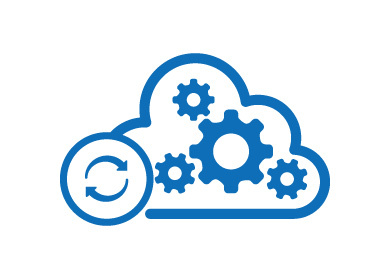 Improve your industrial efficiency with a connected factory and increase equipment reliability with predictive maintenance. 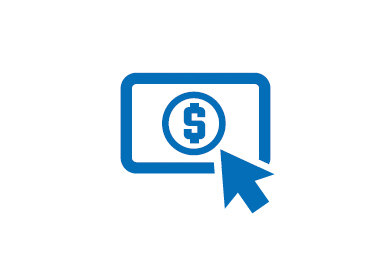 All services will be covered by Pay As You Go in your monthly billing structure. 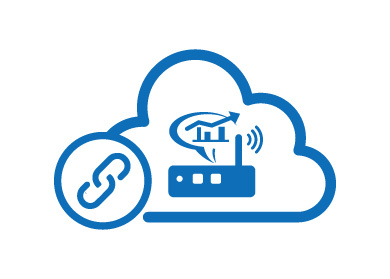 Arm Pelion Cloud Services provide secure identification, connection, and device management services for the IoT. With Arm Pelion Cloud, users can achieve flexible coverage across a vast range of IoT client devices, efficiently manage devices, establish trusted relationships, ensure security, update devices in field, and equip IT and DevOps teams for unparalleled productivity. 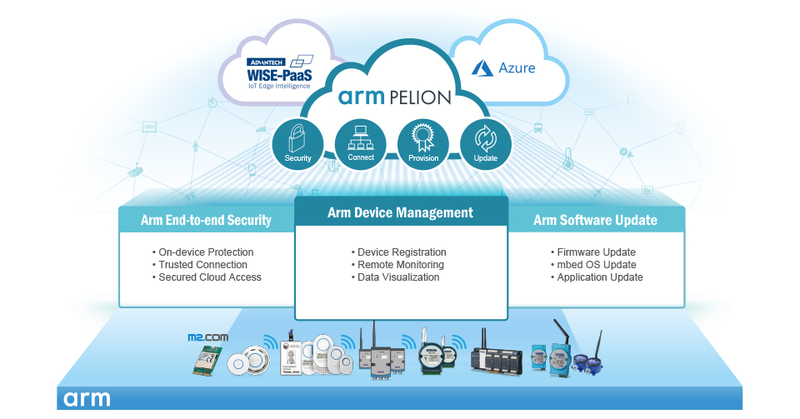 Advantech integrated Arm Pelion Cortex M technology with silicone to develop sensor nodes with built-in Arm Pelion for enabling mbed cloud services with Advantech WISE-PaaS, ensuring easy integration with existing systems, and providing reliable security. A centralized web-based console to remotely monitor devices. Easily manage and deploy IoT devices with LWM2M standard. Remote firmware/ OS/ application update on hardware helps improve device longevity and reliability. Protection goes both ways on device and on the cloud. 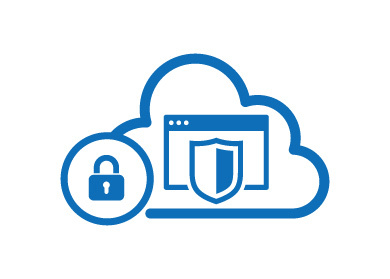 On-device security is based on TrustZone and TrustZone-M, plus TLS to ensure connection reliability.